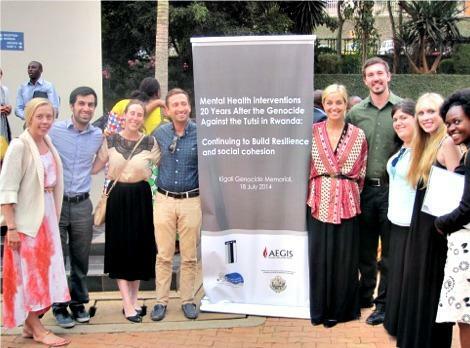 During the 2014 summer, PAU’s Provost, Dr. Bill Froming, three clinical psychologists and nine Palo Alto University (PAU) students traveled to Rwanda to learn more about the 1994 genocide, visit mental health facilities and exchange ideas with Rwandese mental health professionals. The students described their travel and work in Rwanda as ‘life-changing’, ‘once in a lifetime’, and felt that it strengthened them as graduate students, future clinical psychologists, and human beings. Some lessons that a classroom setting has not and will never be able to convey. In their reflections, the students discussed the importance of understanding that there are various ways to approach trauma and that it is important for clinical psychologists and researchers to work together to come up with multi-modal treatment approaches in aiding trauma survivors all over the world. Learn more about other PAU efforts in Rwanda.